In ancient Greek thought, the musical scale discovered by the philosopher Pythagoras was seen as a utopian model of the harmonic order behind the structure of the cosmos and human existence. Through proportion and harmony, the musical scale bridges the gap between two extremes. It encapsulates the most fundamental pattern of harmonic symmetry and demonstrates how the phenomena of nature are inseparably related to one another through the principle of reciprocity. Because of these relationships embodied in its structure, the musical scale was seen as an ideal metaphor of human society by Plato and other Pythagorean thinkers, for it is based on the cosmic principles of harmony, reciprocity, and proportion, whereby each part of the whole receives its just and proper share. This book is the first ever complete translation of The Manual of Harmonics by the Pythagorean philosopher Nicomachus of Gerasa (second century A.D.) published with a comprehensive, chapter-by-chapter commentary. 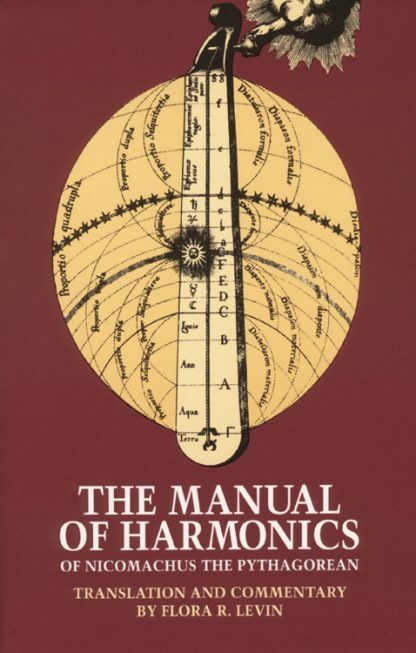 It is a concise and well-organized introduction to the study of harmonics, the universal principles of relation embodied in the musical scale. Also included is a remarkable chapter-by-chapter commentary by the translator, Flora Levin, which makes this work easily accessible to the reader today. Dr. Levin explains the principles of Pythagorean harmony, provides extensive background information, and helps to situate Nicomachus' thought in the history of ideas. This important work constitutes a valuable resource for all students of ancient philosophy, Western cosmology, and the history of music.